As I blogged yesterday, I attended the San Francisco Giants game against the Los Angeles Dodgers on Sunday. A grudge match, as usual. No exaggeration, you could have heard a pin drop in section 125. Kemp, who gets booed with every at-bat in AT&T Park, left a number of us pretty choked up. The young fan was at the game with an older gentleman — probably his Dad — who was obviously thrilled and touched beyond words. 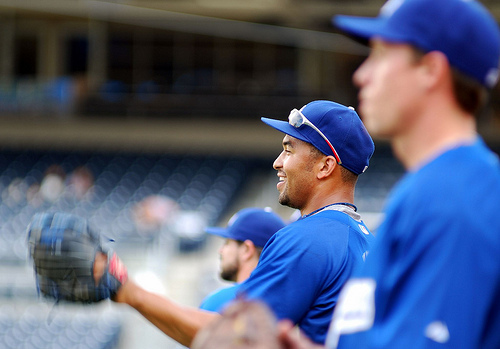 I am not much for heckling opponents, so I was never among the Matt Kemp booers to begin with. But going forward, I may manage some polite clapping, instead of stoney silence, when he’s at the plate. I’m not sure I could manage flat-out cheering, though. He does, after all, still wear Dodger blue.